Brief: Thai Square Spa is an exclusive, high-end spa situated in the heart of London. 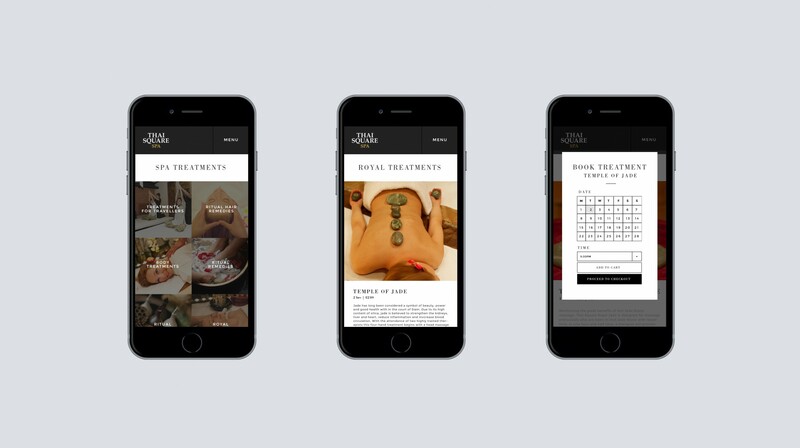 ​We worked with the Thai Square Spa team to plan, design & develop a stunning, multi-device website that portrays the class, the quality and the experience of the Spa to new visitors and past guests. ​All photography was undertaken by our in-house photography team, led by director Marc Wilmot.